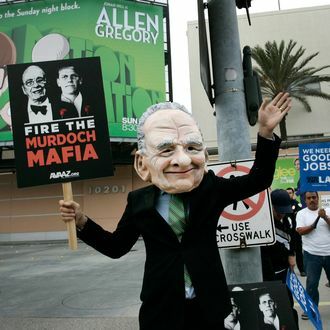 New York–based lawsuits for phone hacking against Rupert Murdoch’s News Corp. have been teased since September, but British lawyer Mark Lewis says he will file domestic cases “imminently,” according to the Daily Beast today. “This is getting wider,” warned Lewis, who first sued Murdoch on behalf of a hacked soccer official in 2007. He has gone on to represent the parents of murdered teenager Milly Dowler, whose story made the hacking case international news, and claims to have three U.S. lawsuits planned, including allegations from at least one American citizen. Lewis is working stateside with former NYCLU head Norman Siegel, and is expected here in News Corp.’s hometown on Monday. U.S. Lawsuits Against News Corp. Imminent?